Welcome to Cullman Auto Rebuilders, home of quality clean title and rebuilt title used cars in Cullman, AL. 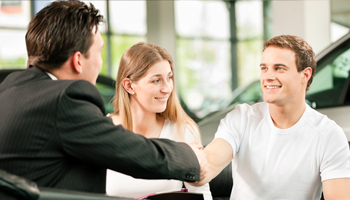 We specialize in selling previously damaged pre-owned vehicles that have been professionally repaired. We have quality control measures in place to ensure that each vehicle is repaired to our high standards using new and recycled parts. All vehicles pass rigorous inspection through our service department where any issues are addressed. All rebuilt vehicles pass a salvage vehicle inspection by the Alabama Department of Revenue. We believe in honesty and giving customers the best value for their dollar which has led to repeat business over the years. We pride ourselves on great prices. Why pay retail when you don’t have to? Even better – there are NO SALESPEOPLE to pressure you. The atmosphere is like buying from an individual. Here on our website, you can view our inventory and check out information about our extended warranty options. We’re here to make your next purchase experience better than any you’ve ever had, so feel free to call or text us at 256-962-7467 with any questions you might have or to make an appointment to check out a vehicle.